Yorkshire Business leaders were recognised for their contribution to the UK’s economic growth and success at the annual Institute of Directors (IoD) Awards in London. Suzy Brain England, from Bradford and the regional director for Yorkshire IoD , was given the inaugural Dr Neville Bain Memorial Award for her work as chair of Derwent Living a ‘profit for social purpose’ organisation providing affordable housing to people from diverse backgrounds. Operating in 41 local authorities across the UK Derwent Living has a Facilities Management (FM) division in Harrogate and recently won two high value Government contracts. Ms Brain England said she was thrilled to be given the award in memory of Mr Bain who was Chair of the IoD and a champion for Chartered Director status which recognises the skills of Directors and their ability to steer their organisations to success. She said it was testament to the work of the whole Derwent Living team. “I have been a Chartered Director for a long time and every week I help someone to prepare their portfolio to become accredited. “I think and act like a Chartered Director all the time and it has been at Derwent Living that this has made a noticeable difference since I started as group Chair of the Board over three years ago. “Having a commercial and public service side to the business it was necessary to review the governance. “We started early to consider the issues that have more recently become a concern to the UK Regulator. “I also felt that it was important to have a strong business ethos while achieving a social purpose. “Together we have improved the efficiency and the professionalism of what we do and that will really matter in the forthcoming years as we see how Welfare Reform makes an impact on the income levels of most housing associations. Peter McCormack is chief executive of Derwent Living. All of Yorkshire’s shortlisted directors at this year’s awards were recognised by the judges. John Hull, last year’s Yorkshire Director of the Year and founder of Elite Office Furniture in Goole was highly commended in the SME sector, Larry Gould of www.thebigword.com was highly commended in the Global Directors category while Wharfe Valley Oils, Stephen Kilby was highly commended in the Young Directors Category for steering the company through change. Mr Gould said he had been delighted to be shortlisted and thrilled to be recognised by the judges. “The IoD is the standard by which all other organisations follow. Having good governance in place is critical for every business and has certainly helped www.thebigword.com succeed. 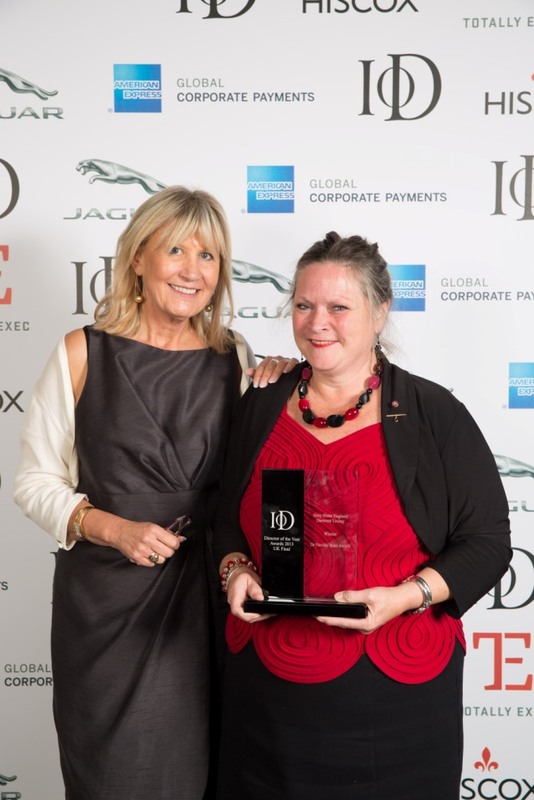 “I was genuinely surprised to be shortlisted and thrilled to be recognised by the IoD. We have worked tremendously hard to grow Wharfe Valley both organically and through diversification of Wharfe Valley Stoves and now MyBathrooms. Nominations for the 2014 Yorkshire Director of the Year Awards are open now. Applicants do not need to be members. There are eight categories including Young Director, Public / Third Sector, Non-exec Director, Entrepreneur, SME Director, Large Company, Lifetime Achievement and Overall Director.